Small talk is the enemy. Small talk must end. “The Rundown” is simply a way to escape the trap of small talk, the trap of circling around the topic of what is immediately happening in front of you. For Kine, this is the endless office talk about brewing coffee. For me, a Chicago resident, I can’t bear talking about the lousy weather one more morning. From a career standpoint, small talk can be detrimental. 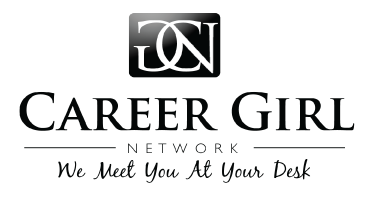 When we are networking we tend to talk about bad traffic, or the hors d’oeuvres, and we miss the chance to make true personal connections or to ask our real questions about jobs or career paths. In the office we waste time by not getting down to business, and we create distance between our coworkers and ourselves by keeping the conversation at a surface level. We all certainly want to be professional, but we also may be insulating ourselves from real connection by avoiding real topics of interest. Enter….”The Rundown”. “The Rundown” simply steers the conversation you are “supposed” to be having towards the conversations you want to be having. To use it, Kine suggests seizing on the most interesting part of a conversation and running with it. In her example, an acquaintance describes the fact that his girlfriend made ramen noodles for dinner. “Are you in love?” Kine asks. She gets right down to it. “From there,” she notes, “the possibilities open up wide. You can go for anything.” The Rundown works because people enjoy talking about themselves, and they like to be asked direct questions. Third Rule – If you can think it, you can ask it. I’m not suggesting you go to your next networking event and start asking about stranger’s love interests or sexual experiences(as Kine does.) But take The Rundown and use it on your own terms. Skip the small talk and ask real questions, questions you are genuinely interested in, and that demonstrate your own investment in the person you are chatting with. Don’t feel afraid to be a bit personal, and to share personal details in turn. Real content filled conversations will lead to real connection. Just spare me the weather chat. Lindsay Bosch is an arts and nonprofit manager who has worked in cultural institutions for over decade including the American Library Association, the Art Institute of Chicago and the Chicago Film Festival. Lindsay is interested in the self-driven (and often self taught) trajectory of women’s careers in nonprofits and writes about issues related to leadership, branding and work culture. Lindsay holds a Bachelors degree in Film and Media from Northwestern Univ. and a Masters in Art History, Theory and Criticism from the School of the Art Institute of Chicago. She is the coauthor of the art history textbook Icons of Beauty: Art, Culture and the Image of Women.